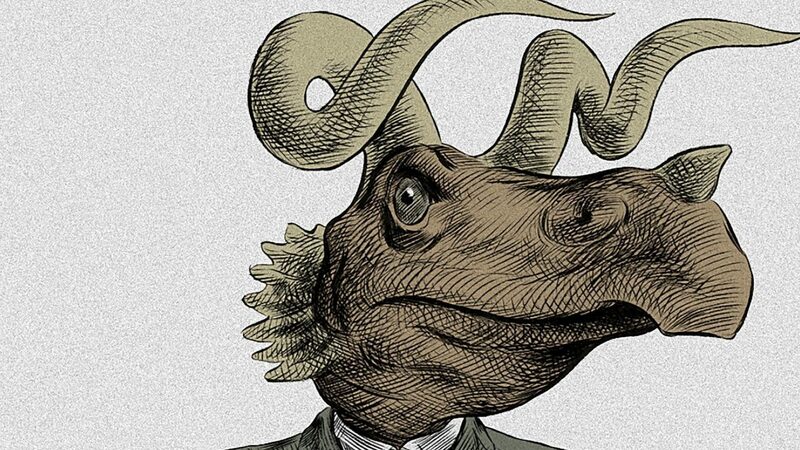 The incredible award-winning cartoonist and filmmaker, Claude Cloutier, just completed his two week Frame x Frame exhibit residency at the Musée de la civilisation in Quebec City. Highlighting the NFB’s 75 years, the exhibit offers a trip through the creative world of animated film from the early beginnings of the NFB through more than 250 works. Better yet, it allows you to actually watch veteran animators set up in the centre of the museum. From the beginning of the retrospective, Francis Desharnais, Janet Perlman, Theodore Ushev and Sylvie Trouvé/Dale Hayward have appeared one after the other in the creation studio. 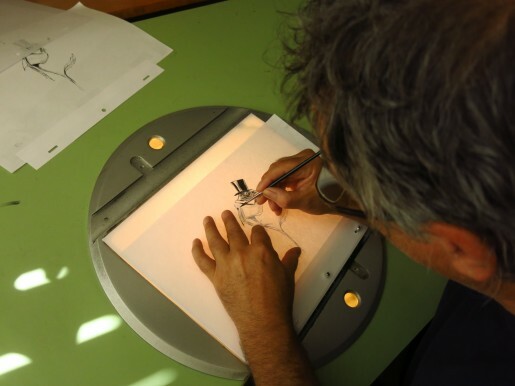 Now, animator Claude Cloutier takes over. I had the pleasure of speaking with him about his career, his projects and his residence. For the benefit of our readers who don’t yet know you, can you tell us a little about your career? 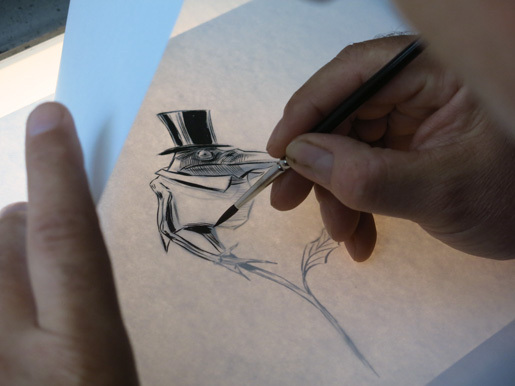 How did you go from a cartoonist to an animated filmmaker? When I was young, I always dreamt of becoming an animated filmmaker. I was good at drawing and loved the visual arts. I, therefore, found myself heading into illustration, telling myself that was a good starting point. I worked as an illustrator and caricaturist for the satirical magazine Croc, published in the 1980s-1990s. This experience allowed me to explore the various styles and formats of comic strips. These works were later collected into two volumes: Gilles la Jungle and La légende des Jean-Guy (recently republished at Éditions de La Pastèque). What did you hope to accomplish during your residency? What was your initial idea? My initial idea was to film/photograph the museum’s visitors in order to create an animation. Unfortunately, that wasn’t realistic given the time that I had. I used that experience to get a head start on my next film, Mauvaise herbe. A fable of human relationships where plants become animals. I won’t tell you any more. The most interesting way to show my work is to work as I usually do. So, I relocated my office to the museum and I animate in full view of the visitors. How has public scrutiny influenced your work? It’s the first time that I’ve worked in a zoo 😉 Seriously though, it was definitely strange to work with people constantly moving around me. I took refuge in my work and I produced a lot, definitely more than I thought I would. It was an interesting experience. I met incredible people. What was the most interesting thing that you discovered in those two weeks? The interactions with the visitors allowed me to confirm certain aspects of my film, such as the storyline, the visuals and the type of characters. Unlike the opinions of my animation colleagues, this audience is neutral. They are the pre-show crowd providing the initial feedback on my film project. What advice would you give to those who want to become animated filmmakers? Choose another career? No, I’m just kidding 😉 I love what I do, because you can do anything. You can give life to whatever you want. My advice would be: draw, draw, draw. The best animators are the ones who draw well. But, don’t draw too much. In the beginning, I drew twice as many drawings, because I was afraid people would miss the detail in the animation. But, moving through the images faster solved the problem. 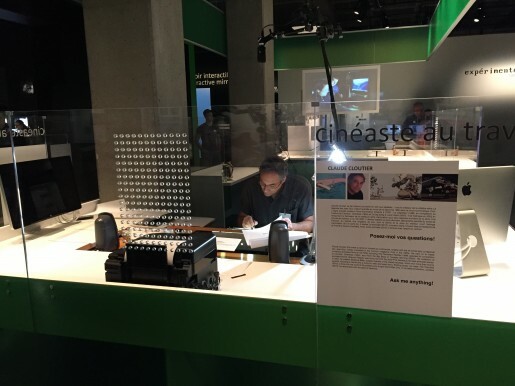 Claude is the fifth filmmaker to have completed a residency at the museum. He will be followed by Patrick Bouchard, the final filmmaker of the series, from August 3 to 21 (except for Saturdays and Sundays). Come meet him from 10:00 am to 5:00 pm! 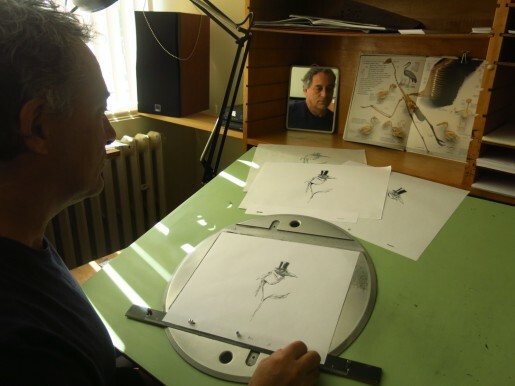 Claude has created many animated shorts which you can watch for free on NFB.ca. In 1994, he created Overdose, on the rights of children to rest and play. In the animated short From the Big Bang to Tuesday Morning, he recounts with absurdist humour humanity’s biological adventure. Watch 5 short films offering historical perspective on science and technology - on everything from evolution to atomic energy, from our galaxy to feats of modern engineering. "Self-care" and "wellness" are two of the biggest buzzwords of the past decade, but the concept has been around for a while. Here are 5 films that tell the story. The concept of time is a constant presence in our lives. Presented in no particular chronological order, enjoy 3 films you can waste some time with.